Open Source is supposed to be free, so it is interesting to note that a new survey finds that by 2016, on average, 56 percent of IT budgets for software will be going towards Open Source software. That comment is a bit tongue and cheek. While open Source software is responsible for slashing costs that organizations are spending on software, that doesn’t mean that implementing Open Source software comes at no cost. 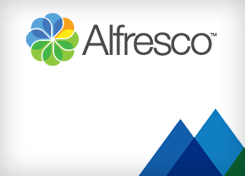 Open Source software, like that offered by Alfresco, Redhat and Oracle/MySQL, often is available via two parallel licensing paths: a ‘free’ unsupported community license and an ‘enterprise’ fully supported software subscription or license which is available for a few, although the fee is typically significantly less than traditional commercial license fees. Other costs are involved in installing, configuring and maintaining the software, and those costs are comparable to traditionally licensed commercial software. There are typically will be costs related to customization and integration with other software components. The Open Source survey was conducted by North Bridge Venture Partners in partnership with The 451 Group and released coincident with the Open Source Business Conference in San Francisco. This years survey results show a significant uptick in the adoption and mind share in the use of Open Source. In previous years, the adoption figures by organizations for Open Source hovered around 10 or 15 percent. The jump to 56 percent in this years results is a big one.